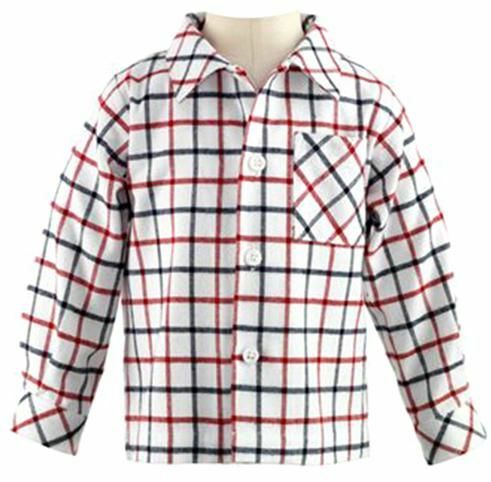 Yarn dyed checks in navy and red on ivory background, in soft cotton flannel, with buttons to fasten at the front and cuffs. A timeless classic can be worn under dungarees or sweaters. Machine wash at 40 degrees.